Spending time with family and friends is fun for aging adults, and it can also provide a multitude of long-term emotional and physical health benefits. Maintaining healthy relationships can make life more enjoyable as seniors continue to age. Here are some of the top reasons older adults need social companionship. Simple interactions can have a positive impact on the mental and emotional wellbeing of seniors. Seniors crave companionship because it makes them feel good and controls their stress levels. Holding conversations with family and friends, or enjoying activities like gardening and hiking with their loved ones, can help seniors reduce their stress levels and lower the risk of depression. Keeping your loved one stress-free and comfortable can ensure he or she lives a long, high-quality life. Maintaining a high quality of life can be challenging for some seniors, but professional caregivers can help them obtain this goal. Families can trust Rhode Island elder care experts to help their elderly loved ones focus on lifestyle choices that increase the chances of living a longer and healthier life. For some seniors, having a friend provides a sense of purpose. Maintaining friendships could make your aging parent feel accomplished, ultimately enhancing his or her self-esteem. 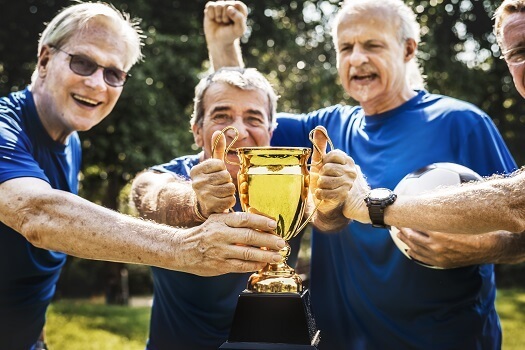 The more confident seniors are in themselves, the better. Being confident can reduce negative emotions such as fear, doubt, and denial. Isolation is common in older adults. They live alone, endure age-related health conditions, and withdraw from social activities. However, this doesn’t take away their desire for companionship. Lack of social engagement can lead to serious problems for seniors, including loneliness and boredom. Seniors crave companionship so they can maintain social engagement, hoping to increase the odds of living life with joy and excitement. Your loved one might require the help of a dedicated caregiver to enjoy an active social life. Not every senior has the same care needs, which means they don’t all need the same type of home care. Rhode Island families can rely on Home Care Assistance to provide individualized care plans to meet your elderly loved one’s unique care needs. Our holistic Balanced Care Method was designed to help seniors focus on healthy lifestyle habits such as eating nutritious foods, exercising regularly, and maintaining strong social ties, and our Cognitive Therapeutics Method offers mentally stimulating activities that can stave off cognitive decline and delay the onset of dementia. The presence of a companion can stimulate a senior’s senses and boost his or her physical health, whether it’s a platonic friendship or an intimate relationship. Seniors crave physical connections as they grow older, which can be achieved with a simple hug, pat on the back, or hand holding. Touch deprivation can have a negative effect on overall health, especially emotional wellbeing. Your loved one may long for companionship because he or she views physical connections as a way to communicate and bond with you and other family members. Seeing their children, neighbors, friends, and other family members happy can spark something in older adults. They feel like belonging to a happy group of people will rub off on them, so they crave companionship. Happiness can be contagious, which is why older adults cluster into happy support groups, hoping those feelings will spread to them. Losing a spouse, best friend, or family member is never easy for seniors. Grieving could cause them to lose their appetite, develop poor sleeping habits, or lose interest in self-care. However, many seniors become emotionally dependant and fear being alone. They crave companionship from family caregivers as they mourn the loss of a loved one. You need to be there for your parent, even if it means giving up some of your free time. The constant companionship could help your loved one manage loss and other hardships he or she encounters. Caring for a senior loved one can be rewarding, but it can also be overwhelming for family caregivers who have other responsibilities they need to focus on. For these families, the perfect solution is respite care. Rhode Island families rely on our caregivers whenever they need time to rest, work, run errands, and even go on vacation. To find out more about Home Care Assistance’s in-home care services, call (401) 284-0979 today to speak with a friendly and experienced Care Manager.